Uncategorized – Tammi B. Ph.D. When we are young, we are innocent. It is our inherent nature to love and expect to be loved in return. As souls we come from love and we are wired for love. However, on this planet, plane and “school of duality,” it is inevitable we will eventually experience hurt, betrayal, disconnection and disillusionment. When these things happen, it is our natural propensity to establish a protective shield, or start to build walls around our hearts. Heart walls are built an attempt to prevent any future pain and hurt from happening. But these walls don’t keep the pain out, they lock the hurt in. These walls can cause a multitude of problems, physically, mentally, emotionally and spiritually. One significant issue is they isolate us and make us feel lonely. They also prevent the flow of giving and receiving love, which is our inherent nature and one of the most important reasons we are here as spiritual beings having a human experience. In order to feel safe, so we can lower our defenses and become available for love, it is vital to dismantle these walls. These walls can start to dissolve as we begin to cultivate kindness, empathy and compassion for ourselves. It is important to learn how to authentically and gently care for ourselves. And because we attract people who treat us like we treat ourselves, this can naturally support us in becoming more discerning about who we let close and how close. If you are ready to be in an authentic, caring and loving relationship, you need to be in an authentic, caring and loving relationship with yourself. It is vital to take responsibility for your own healing work. Also to acknowledge you are not a victim. No matter what happened, it was an opportunity for you to grow on a soul level. If we don’t forgive, we stay stuck in the lower level victim vibration, impede the energy of grace, block off divine support and attract more situations where we feel powerless and victimized. To begin this transformational process it can be helpful to consciously acknowledge though you have not always been treated with love, you are worthy of love. Then think about what it would mean to be more compassionate, affectionate and loving with yourself. It is also vital to forgive others (though not necessarily allow them back in your life) and forgive yourself for not knowing better or doing better. The truth is, we all are doing the very best we can given our level of consciousness. 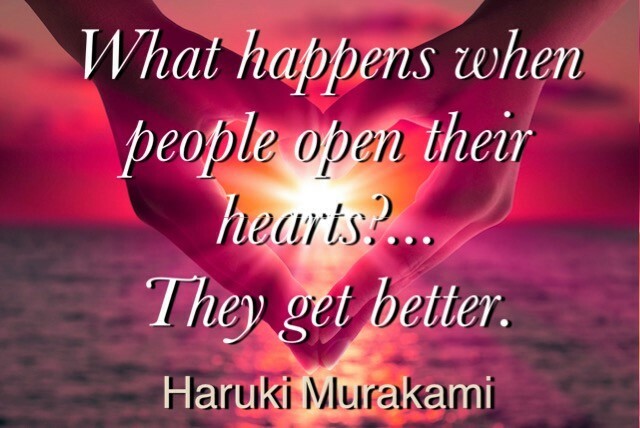 When we become aware of this, it can start soften our hearts and help the healing process to naturally begin. Consider what would nurture you physically, mentally, emotionally and spiritually and do these things for yourself. Say the things to your reflection in the mirror that you long to hear. Spend time in your inner world, and become familiar with your inner landscape. This can positively influence and affect your outer life. Make time to quite your mind, relax into silence and then make yourself available to hear the wisdom of the still small voice within. Speak your truth, don’t play games with yourself or others. Say yes when you mean yes and no when you mean no. This can help establish healthy boundaries and help you become more clear about what is expected and shift how you will be treated. Listen to healing and empowering guided meditations. This will help your subconscious mind and conscious mind partner together, and help create positive changes in your life. And while participating in these practices may mean some people will move away from you, they are not the “right people” for you. This will also create the space and vibration for those who are a more compatible and a “natural fit” to come forward in your life. Well-being, love and happiness are inner qualities. Set the intention to tap into this inner state, and watch how your life shifts, uplevels and transforms. 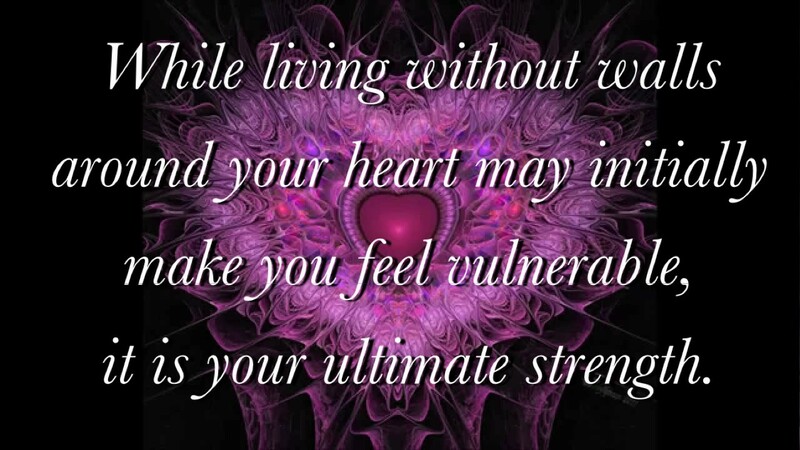 As you relax into the space of love within, and become more comfortable and empowered in your life, it will shift your posture from victim and fear-based, to empowered and love-based. And what you attract from this vibration will always be better, healthier and more fulfilling. If you would like help dissolving the walls around your heart, I have many guided meditations on my website designed to support you. You can also be in touch with me at tammibphd@gmail.com with any questions, prayer requests, thoughts, revelations or anything else you would like to share. We live on a planet of free will and choice, and while most of us would agree, we want people to be kind and loving, not everyone will make this choice. As long as we are given the choice to create from fear or love, there will be those who live more from a place of fear and disconnection. I have been there myself, and you know what? It’s awful and it hurts! And hurt people hurt people. How others behave is their karma, how you chose to respond is yours. So when you witness “bad people doing bad things” what is your response? Do you jump on the band wagon and want to see this person lynched up, punished or maybe even destroyed? Or, can you take a step back? Can you try to understand where this person is within themselves and why they would make this kind of choice? It is easy to have compassion for victims. It is not as easy to have compassion for perpetrators. And it is the emotion of empathy and quality of compassion that separates mere mortals from ascended masters; those who perceive the world through the limited perspective of simply being human, from those who see our reality through a higher perspective of spiritual beings having a human experience. My spiritual teachers once told me “The only emotion left for the fully realized human being is infinite unbearable compassion.” What I know for sure is that anyone who lives for very long as a human being on planet earth will not avoid pain. In the movie “The Shack,” God says to one who is suffering “You want the promise of a pain free life…there isn’t one.” So the question becomes, how do you want to deal with the universal quality and experience of pain? Years ago I got a call that a friend of mine was murdered, I got very cold, and started shaking. I realized I was going into shock. I started to run around this house, and considered things I could do to stop in the profound intensity of this pain. I thought to myself, I could have drink, or take a pill, but I realized there was nothing I could do to avoid the anguish I was feeling, so rather than running from it, I surrendered it – I fell to my knees, and I prayed. I said to God repeatedly, “This makes no sense, this makes no sense, this makes no sense! !” What I got in return was “This will never make sense from your limited human perspective, you have to trust in Me, there is a higher order, someday you will understand.” I realize if I want to live in peace, I MUST rest in this knowingness. In Don Miguel’s Ruiz’ book “The Mastery of Love” He invited us to visualize living on a planet where everyone has a terrible skin disease. People are covered with wounds that are infected and everyone is in a great deal of pain, and this is considered normal. Can you imagine how these people are going to treat each other? Well, as humans we all have terrible infections and a disease, but rather than physical (which we could see) it is emotional (which we cannot see). This disease is fear and it can wreak havoc with our lives and ripple out and negatively affect others and the world. The most important thing we can do is to admit we are hurting and start having compassion for ourselves. A second transformational healing practice is to allow and receive the compassion of Spirit and the angels to pour down over us and imbue us in body, mind and spirit. It is important look at our lives and be honest about the things that have broken our hearts and then hold ourselves in a place of gentleness, sweetness, acknowledgement and compassion. It can be akin to seeing ourselves objectively, and speaking the words of kindness and empathy, then treating ourselves as we would a small child who we adore, or an innocent animal who we have immense love for. When I talked to Dr. Eben Alexander about his near death experience and his time with God, he spoke of the immense compassion God has for all of his children and that He is aware of how much it hurts to perceive being disconnected from God/Love for even a second or mere moment. Many people live their whole lives from the perception of disconnection. This breaks Gods heart and it can break ours. When we hurt, or observe hurting people who are making “bad choices”, we can choose to build walls around ourselves, or we can allow it to break us open. We heal when we bring love and compassion to the places inside that hurt. And once we do this for ourselves, we can start bringing the healing quality of compassion to others and to the world. When we start living life and seeing others with this awareness, it can help us open our hearts rather than close them down. And rather than leap to a judgment and anger when someone flips you off in traffic, when you read something in the news of a terrible shooting or your experience a personal tragedy, your involuntary knee jerk response is not one reacting from unprocessed hurt and woundedness, but rather someone who is healing up and seeing this reality from a more spiritually mature and deeply compassionate perspective. This in turn is what will ripple out and positively affect others and the world. In a world that is primarily fear-based, are you part of the problem (living from fear, disconnection and judgment) or part of the solution (living from love, alignment and compassion)? Mahatma Gandhi shared some wonderful wisdom and an elegant invitation when he said: “Be the change you wish to see in the world.” If you want to live in a more compassionate, peaceful world, cultivate the qualities of compassion and peace for and within yourself. The natural side effect is that you will effectively bring more of these qualities to our sweet, beautiful planet and her many hurting inhabitants. 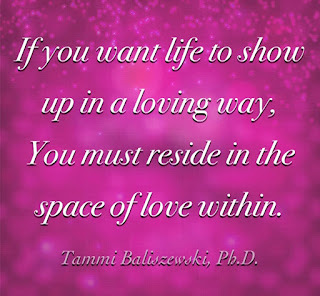 If you would like to open your heart and mind to greater compassion for yourself, so that you can more effectively share this vital and healing quality with the world, please email me at tammibphd. @gmail.comand request my “Cultivating Self Compassion” guided meditation. I invite you to be in touch and let me know how you are doing. I have to say, the Fourth of July is one of my very favorite holidays! Partly because it is the middle of summer (my favorite season), the relaxed BBQ’s with family and friends, and of course the beautiful sparkly colorful fireworks. These things all make my heart smile. Another reason I love it is because it represents the freedom and independence of our nation. As I looked a bit deeper at this, I realized part of this is because I have worked so hard to achieve my personal freedom and independence. As a young girl I was very insecure. This translated to an insecure young adult. I looked outside of myself for help, for validation, and for people to do the things I did not believe I could do. In other words I had an inclination to make others more important than myself, and often, in essence, my higher power. You may have heard the phrase “false Idols will fall.” It was not that I was consciously looking for idols, I just had very little belief in myself. And as things would unfold, every false idol did indeed fall. I was betrayed, abandoned, people got tired of the games, I got tired of the games. I was finally just left with me….this is when I started having some serious and authentic conversation with the Universe. As I turned inward and upward, as I started praying and meditating, I was prompted to go in a very different direction in my life. I found myself in school studying hypnotherapy, psychology and spiritual psychology. Life started making more sense. The journey was not easy, but I was met with grace. Today, I have no inclination to give my power away, nor do I believe I need anyone to do anything for me. The power of the Universe lies within me, as it does each and every one of us. What have come to understand, is that an Idol is anything that takes the place of God in our lives. God is our Source, God is our core, and if we want our lives to work, God needs to be the priority in our lives. If we do not cultivate this relationship we come from ego and a sense of separation, this is the root of dependence, competition, fear and insecurity; we are trapped in an unconscious prison of our own making. My spiritual teachers would say, “All of our pain comes from our perceived disconnection from God.” As we open our heart to this aligned connection with our Creator, we feel more safe, supported, and loved. We become more independent and do not look to others to be our Gods. We can start to show up as spiritual adults in relationships and in our lives. This is true freedom and authentic independence. And just as America is said to be the land of the free because of the brave, we become free as we are brave enough to start to make our relationship with our Creator/ The Universe/God our primary intention. It can indeed take courage and a leap of faith, and it may not always be easy but it will be met with grace. You are adored and loved unconditionally by an infinitely powerful Creator, and this energy is imbued within you; it is your true essence. You are more powerful than you know, more exquisite than you can imagine, and more beautiful than you can fathom. If you could see yourself as God sees you, you would be astonished by your beauty. Once you accept, believe and receive this, you naturally start to experience a profound sense of freedom. You can begin to dance in partnership with the Divine, celebrating a Cosmic love affair, in your rightful place as a royal heir to the Universe. This is how we live a life of deep faith, synchronicity, and miracles, with grace, ease, and a peace beyond understanding. Sending you blessings of courage, freedom, independence, and Immense love. https://tammibphd.com/wp-content/uploads/2017/07/home-2Bfree.jpg 776 455 admin https://tammibphd.com/wp-content/uploads/2017/06/header-logo-all-dots.png admin2017-07-04 19:27:002018-02-04 05:25:50Freedom and Independence! When life hurts and things aren’t going our way, it is easy to feel alone, sad, and believe we are not supported by the Universe. In other words, it’s compelling to fall into a state of self-pity. One of the biggest problems with self-pity, is it keeps us stuck and in pain, and pretty much guarantees nothing will change. A healthier option is opening your mind and heart to the practice of self-compassion. By contrast, self-compassion is healing, soothing, empowering and transformational. When we boil it down self-pity is a victim posture. Self-pity is imbued with an attitude that “life is not fair” and “bad things are happening TO me.” Once we step in to self-compassion, we can start to open our mind to the possibility that life is a “learning opportunity” and understanding “life is happening FOR me!” It is accepting that our challenges are designed to help us evolve, expand and grow as spiritual beings having human experience. Having compassion is choosing acceptance, understanding and kindness, rather than condemning, criticizing and judging. It indicates the “mature awareness” that suffering, failure, and imperfection are part and parcel of this shared human experience. It seems unfortunate that we tend to learn more from our mistakes and failures than our easy successes. And to learn to love ourselves as we trip, fall, and get up again, may very well be the greatest achievement we can claim for ourselves as otherworldly beings having this earthly experience. What I know for sure is that we did not incarnate as humans to be perfect, we incarnated to learn the lessons of love, and for these lessons to be authentic, we need to build our lives on the solid foundation of self-respect, self-compassion and self-love. Self-love and self-compassion go hand in hand. Self-compassion means you care about yourself and that you honor and accept your humanness: messes, mistakes, vulnerabilities, flaws, limitations, boo-boos, warts and all. To hold ourselves to an impossible standard of perfection is impossible, painful & DESTRUCTIVE. What is more CONSTRUCTIVE an attitude of kindness, love & acceptance. Accepting disappointments and struggles as a normal part of life and choosing to treat ourselves kindly throughout our challenges can help us navigate and transcend our challenges as well as positively affect every aspect our lives. Set a self-compassion intention: Open your mind and state to yourself and the Universe you are intending and committing to be kinder and more compassionate with yourself. Many of my students and clients have said this was the most important thing they have learned from me. Once something is on our radar and once we set the intention, life can start to show up in a way that is supportive and helps us manifest our intentions. Talk to yourself as you would a cherished friend: Look in the mirror and say something like: I know that things are hard for you right now, I am sorry you are having to go through this. Life can be painful, but you are awesome, lovable and important. Everything is going to be OK because God is on our side. Be mindful of what is going on in your mind: Pay attention to your self-talk. If you are not being nice to you, set an intention and start being more kind. Our outer lives shows up as a reflection of our inner reality. If you want life to be kind to you, you must be kind to yourself. Be good to yourself: Allow yourself to rest when you are tired, rather than pushing yourself. Ask yourself what honors you and follow through rather than forcing, pressing and/or “choking things down.” Take good care of your physical, mental, emotional and spiritual needs. If you want life to be good to you, you must be good to yourself. Take responsibility: No more blame game. Don‘t look around at the circumstances of your life and tell yourself, or anyone else, that it is all someone else‘s fault. This is how you ensure nothing will change. Consider how you created this reality for yourself, while also being very loving, empathetic and kind. Reassure yourself you are learning, and now going to make different kinds of choices so you can have a different kind of future. Forgive yourself: Let yourself off the hook for any perceived mistakes you may have made. Forgive yourself as you would forgive a child that has fallen down as they were learning to walk. Tell yourself beneath it all you are perfectly in process, the child in Whom God is well pleased, on the right track and heading the right direction. There is NOTHING you could do that would make God not love you. Now set the intention to forgive and love yourself. Surround yourself with compassionate, uplifting and supportive people:Sometimes we need to ask for what we need, and we all have different friends for different reasons. Do you know anyone in your circle that is kind? A good listener and empathic? Get in touch with them and have an authentic conversation. Perhaps tell them you are doing your best to learn how to be more kind to yourself and you appreciate their example of kindness. This can be a catalyst for a lovely, healing and empowering conversation. Talk to and listen to your inner child: Often, when we are in pain, there is a wound from an earlier time in our life that is being touched upon. Communicating with compassion to this younger aspect can help us get on more solid ground within ourselves, and give us a new sense of clarity, peace and equanimity. Talk to God: Write Him/Her a letter and have an honest conversation. Then be open to what God may want to say in return. I have interviewed several peopled and read dozens of books from those who have had near death experiences. One thing they all say, is that God has immense love and compassion for each and every one of us. We do not have to die to open our hearts and minds to this healing experience and compassionate supportive relationship. Talk, listen, and cultivate this relationship. Ask for otherworldly support: I sense there are millions of otherworldly lightworkers, angels and guides just on the other side of our earthly veil, encouraging us with respect and compassion. They want to support us with anything and everything we need. However, we live on a planet of free will and choice, therefore, we need to ask, relax, believe and receive. So what do you want? Now ask for an angel for their guidance, help and assistance. Get human support: Set an intention to find the perfect therapist, counselor, or minister for you. There are professionals who deal in the arena of psychological, emotional and spiritual support. Ask around, do your research, and find someone who feels like a fit for you. What I know for sure, is when the student is ready the teacher appears. Meditation: Spending time in the peaceful place within can be profoundly healing. It gives our beta brainwaves, monkey mind, and fearful way of being a break, and allows the slower, soothing alpha, theta brainwaveswaves to happen, as well as the energy of the heart to come more fully present. Meditation can help us experience a sense of calm, and access the still small voice within. It has been said, prayer is talking to God, meditation is listening. This is by far the most healing practice I have ever taken responsibly for. If you want to make positive changes, this is likely the most powerful thing you can do for yourself. Guided Meditations and/or Hypnosis: There are 1000’s guided meditations available for countless reasons. Guided meditations are a powerful way to make friends with your subconscious mind and help you change your life from the inside out. You can do a google search and see what comes forward that resonates for you. Additionally, I would like to gift you with my “Self Compassion Guided Meditation.” Just be in touch with me at tammipbhd@gmail.comand I will email you the MP3. By virtue of experimenting with these simple steps and participating with these accessible exercises, you can naturally open to inner healing, greater self-compassion, self-love and self-acceptance. We are all in this human adventure together, and the more we accept and have compassion for ourselves, the more natural it is to have it for others. This is how we become a force of healing, love and transformation in the world. Do your part to the make the world a kinder and more compassionate place, by being kinder and more compassionate with yourself. P.S. I invite you to be in touch with me at tammibphd@gmail.com to receive the Self-Compassion Guided Meditation, ask questions, express thoughts, make a prayer request, or anything else you would like to share. You are in my heart, meditations and prayers. Are you the ultimate authority in your life? Do you want to be? I believe the majority of people are doing their very best to control their lives. It has been said control is the master addition – control is also an illusion. So, another important question to consider is: Do you trust the Universe? Do you think it is on your side? If not, you are likely to be a control addict. Additionally you are building your life on a foundation of fear, and no matter what you try to create or manifest on this foundation, it will be virtually impossible to experience a sustained happy, joyful, peaceful and prosperous life. Outer reality is a reflection of inner reality, if one’s core beliefs are fear based, there is no way for them to experience a joyful, grace-filled, happy and love-based life. When we learn to surrender, when we open our minds to the notion the animating force of the Universe is love, and that we are worthy of receiving this love, the natural by product is the ability to relax, feel a sense of support and deep peace. When we open our mind to surrendering to love, the fog of fear can start to dissolve and the clouds of confusion can dissipate. When we release what we are not, which is fear, we naturally ascend into the truth of who we are, which is love. Grace and Divine guidance cannot be forced upon you. You have to open your mind to it, invite it, relax and receive it. This is done through the process of surrender. When we trust the process of life we become more peaceful and present. Rather than being angry about the past and worried about the future, we relax, soften, and become more conscious, available and aware in the moment. The present moment is the place where miracles, magic and Divine communication can occur. However, if we are to busy worrying, holding things together and trying to control things, we are distracted and unaware; we miss the beauty, love, synchronicity, support and blessings that are all around us. If feels so much better to relinquish the death grip on the steering wheel of life, relax and slide over the into the passenger seat. When we surrender, we invite and allow that something greater: God/The Universe/Creator/Spirit to take over the helm and guide us in the direction that is for our highest good. Our ability and relax into surrender can boil down to our deep internal sense of value. If we believe we are loved, safe, valuable and worthy, and if we subconsciously accept that we are supported by the Universe, a grace filled life will be the natural by product. Surrendering and relaxing to this something greater was not easy or natural for me. I had to open my mind to this possibility and consciously choose it. I had to “experiment” with the notion that I was safe and loved. And as I did, life starting feeling better. Wonderful opportunities began to present themselves without me “efforting” to make things happen.I am now flowing with the current of life, with the wind at my back. And so can you. Now that I know the universe is on my side, life is so much more fun, gentle, and grace-filled. My intention now is to help as many people as I can line up with their soul self, relax into faith and live a life they love. You are loved, you are adored, you are a blessing and a gift to all of creation. The energy that breaths you, and beats your heart, wants for your happiness. Extend an invitation, relax, surrender to love, and allow this energy to be in relationship with you. Ask the current of life to inform you, guide you and carry you the direction that is for you highest good and highest good for all concerned. If you haven’t already received my Surrenderguided meditation, be in touch with me at tammibphd@gmail.comand I will send it over to you. Do you really know where you end and begin? Do you often feel like you are spread too thin? And are other people more important to you than you? This was certainly the case for me. Years ago I had to admit I had boundaries issues after becoming aware of a glaring, consistent pattern that included being stolen from, lied to, cheated on and more. I was not taking care of me, nor was I speaking up on my behalf. I ended up depleted, sick, broke and very depressed. A friend of mine said “Tammi you teach people how to treat you.” This was startling, but started to make sense as I really thought about it. I wasn’t teaching people to treat me well, because I didn’t treat me well; I did not believe in my value, and therefore was not valued. I was a people pleaser and cared more about other people’s opinions, desires and well-being than my own. I finally realized, if I wanted life to be different, I was going to have to be different. This included figuring out who I was, liking myself, loving myself and taking care of myself. This also meant taking responsibility to cultivate, claim and implement, clear, healthy boundaries. A lack of boundaries can make life challenging, and even dangerous if one contorts too much, isn’t clear in who they are, doesn’t know their value, and does not speak up on their behalf. We all know boundaries in our physical world are important: fences, walls, property lines, streets, sidewalks and cliffs let us know where we should and should not be. Respecting boundaries keeps us safe, protected and out of harm’s way. We see the boundaries of our physical bodies with our skin. Our skin is our largest organ and serves to protect us from toxins outside of ourselves. At a cellular level, our biology has the innate wisdom to distinguish between things that are dangerous and things that are life-enhancing. Though we can’t see boundaries in the realm of our energy and emotions, they are just as important. There are some situations and people that are great for us, some that are good for us, and others that are bad for us. There are people who deplete us and others who replenish us. It is important to be able to discern the difference and place ourselves in the company of uplifting people and positivesettings. In relationships, boundaries prevent us from taking over-responsibility, or under-responsibility. We let others be who and where they are and allow them the dignity of their process (even if it doesn’t look very dignified to us). The propensity to enable, rescue, or go into “fix it” mode is diminished. Healthy boundaries help us discern the difference between empowering others and enabling them. Boundaries also protect us from picking up on other people’s physical, mental, emotional and/or spiritual pain. If we do not have boundaries we are like a sponge, constantly absorbing all that is going on around us. If we were not raised in a family that taught and exemplified good boundaries, cultivating them may not easy or innate, but something that IS possible – once become aware of their importance, and once it becomes our intention. 1 1. Set your intentions. You can write it down and then perhaps say out loud something like “I am now setting my intention to create clear healthy boundaries.” What comes forward and what does this feel like as you imagine this and claim this for yourself? 2 2. Consider this question “What do I need to do to claim my boundaries, fill my own gas tank and take good care of me.” You can go deeper by addressing this question on all levels: physically, mentally, emotionally and spiritually. 3 3. Now imagine drawing a circle of light around yourself. Anytime you feel uncomfortable, afraid, ungrounded or on the verge of saying yes before checking in, pull your energy back, ground yourself, and imagine a circle of light surrounding and protecting you. What does it feel like to be in this safe bubble of light? 4 4. Ask yourself now (and frequently) what really honors me now? Listen deeply and follow the wisdom of your inner voice. 5 5. When someone asks you to do something, give yourself time. No more involuntary “knee jerk” responses. Do not feel pressure to commit to anything immediately. A phrase that helped me (and still does) is “Thank you for thinking of me, let me spend some time with this and get back to you.” This is a healthy boundary, and often a very self-honoring choice. So, how does this feel as you practice it? It may be uncomfortable at first, but can support you in becoming better friends with yourself. 6 6. Listen frequently to my Healthy Boundaries Guided Mediation. If you do not have it, email me at tammibphd@gmail.comrequesting it and I will email it over to you. If you would like more boundary exercises to help support you in taking personal responsibility in communication, email me and I will send you chapter and exercises I outline in my book Manifesting Love From the Inside Out. The bottom line is, without healthy boundaries you cannot give the best of yourself to others. You will feel depleted, unsafe, ungrounded and/or imbalanced. Without clear boundaries, you will also likely experience a great deal of drama, fear, and confusion in your life. Boundaries are vital to help us to stay in the eye of the storm during the “bad weather” and chaos of life. Though insanity can be all around us, if we are grounded, centered, and possess clear, healthy, flexible boundaries, we have a very good chance of not being swept away by the craziness that is part and parcel of life on planet earth. Because like vibration attracts like vibration, another benefit and bonus of cultivating boundaries is you will attract other whole, healthy people. Knowing where you end and another begins is the foundation for happy, healthy, long-lasting relationships. In healthy relationships there is a positive exchange; a giving and receiving of energy. This happens between people who know where each other begins and ends, and respects those boundaries. When our boundaries are in place, we know how to honor ourselves and speak up on our behalf. This supports us in communicating with love and respect for ourselves AND for other people. One of the most important gifts I ever gave myself was the permission to take the time to really get to know myself, to love myself, and cultivate my boundaries. This improved every aspect of my life, how I attracted my amazing husband, and how I keep our relationship thriving. I hope you also set this intention and give yourself this life changing gift. Boundaries are vital if you want to attract the right people, right situations and find your rightful place on planet earth. When you know yourself, love yourself and take good care of yourself, life can become an amazing adventure. You no longer have a propensity to take over-responsibility or under-responsibility. You show up as you truly are and allow others to do the same. Your needs are met be virtue of taking care of your relationship with you. Boundaries will help you stay solid and centered in your worthiness and assist you in living from clarity, integrity, love and peace. Boundaries can help us “come home to ourselves” and support us in getting really comfortable in our skin. They also help us become happier, healthier, more intuitive and discerning human beings. Generous giving and gracious receiving becomes more natural, joyful and balanced. Ultimately healthy boundaries are about protecting your connection to your soul and Source and a vital component increating an amazing, blessed, and authentically empowered life. Please in touch if you have questions, comments thoughts, would like additional support, or have a prayer request. The most precious commodity any of us have as human beings is our energy; our life force. Do you want to deplete your precious life force throwing imaginary poisoned darts at someone, or would you like use that energy to create a life of beauty, miracles and great love? Did you know humans are the only species that thinks about, dwells on and relives the past? As we relive memories, we reactivate the energy around it. If the memories are positive this can be a good thing. If they are negative, this can impact us in detrimental ways. Not only do we reintroduce and circulate poison into our system, as we “chew on” past hurts, blame, shame, guilt and regret, we also give our power away. There are two ways we can live our lives, victim or empowered. As long as we choose not to forgive we remain in the victim posture. The way we can start to take our power back is when we look at any painful situation or circumstance and ask ourselves: “What is my soul trying to learn here?” We become empowered when we take responsibility for ourselves and our circumstances. We become further empowered when we can forgive the other people that were involved in that situation, and leave their karma up to them and a Higher Power. This is how we become whole and create the space for a love-based life that overflows with grace. Though it is appropriate, and actually part of the healing process, to be angry if you have experienced a boundary invasion, disrespect, or abuse of any kind, it eventually becomes harmful to yourself if held on to for an extended period of time. I set the intention for forgiveness long ago. Not because I wanted to actually forgive this person who “did horrible things to me” but because I wanted to be free. I wanted to live an awesome, prosperous, love-based life. I realized after several years of mentally and emotionally holding this person (and a few others) in my “energetic prison” I realized freedom and an empowered life was never going to be mine. So I finally opened my mind, consciously invited God into this situation, and asked for help in taking the hate out of my heart, along with any and all judgement, negativity and ”unforgiveness.” I had suffered enough, I finally was open to forgiveness. I worked on forgiveness for quite a while, through prayer and meditation. Then one day, I saw him, and guess what? The hatred and anger was gone. In its place was a sense of equanimity, compassion and even a little bit of affection. And boy, I have to say, this sure did feel a lot better than the knife in the gut, the clenching of my heart, and the churning of my stomach. I did not forgive this man for him, but for me. I have no doubt forgiving him played a big part in my improved health. Disease is caused by dis-ease in our mental and emotional realms, which in turn takes up residence in our bodies and the physical realm. My judgment and anger caused great discomfort inside of me and manifested in many different ways. This discomfort is now gone and my health is now optimal and vibrant. And for this I give thanks to my consciousness for setting the intention and for the grace of God which ushered in the healing. In addition to the health benefits, I am confident forgiveness helped me with my career, it upleveled my income, helped me to attract better people and improved other relationships. Making the choice to forgive played a big part in me becoming a more peaceful, confident, happy, prosperous and empowered human being. Long held anger is toxic. It affects and infects every area of your life. Although it is hard to get to number 3 if we haven’t done at least some of the work with numbers 1 and 2. Forgiveness of others, and ourselves, is the “big guns” and master cleanser of karma. Holding onto negativity takes a lot of energy. We become free through forgiveness. This not only frees up energy in our bodies, it gives us more energy for the things we love, the things that matter. As we forgive, we are forgiven and we ascend in our consciousness. From this higher altitude we attract and manifest very kinds of different people, circumstances and experiences. If you choose not to forgive, your choosing to not be in your loving. This is what disconnects us from God – and all of our pain comes from our perceived disconnection from God. Forgiveness does not mean we give the person who hurt us a big thumbs up if they really did something heinous, nor do we necessarily invite them to lunch. What we do is bless them on their path and leave the consequence of their behavior, and their karma, up to them and the Universe. We are no longer trying to be the judge and jury. We are leaving their behavior and actions up to the “Big Judge and Jury.” And what I know for sure is that all of us will all be accountable, and have to take responsibility, for our actions, thoughts and deeds. Whatever we do unto others will be done to us: Whatever we put out, we will get back. This is spiritual law. Everything is allowed, but we get to choose who we play with. If you danced for a while with someone that betrayed, disappointed, stole, lied, cheated or did something else that hurt you, perhaps you were cleaning up karma from another lifetime. Or perhaps you were trying to learn the soul lessons of discernment, or boundaries. If you don’t get your soul lessons, if you chose not to forgive, the karmic dance continues, the negativity shall persist and the patterns will not change. The toxic energy stays in the body, in your energy field and your life. Thus the negativity will certainly be a part of your future. And even if this person goes away, you will attract other people and situations that are vibrating at this same frequency. If you want a different future, clean up your past. Forgiveness is the most powerful and effective way to do this. When you forgive, it doesn’t mean you accept their behavior or trust this person again.You forgive so you can move forward in your life in a way that is light, comfortable, love based & joyful. As I have asked for the ability to forgive, I have increased my capacity for clarity and compassion. People simply do not “do these kinds of things,” and “behave in this way” if they are healthy, whole human beings.. From a lower point of view, it was a negative energetic dance, and an angry argument. From a higher point of view, there is an awareness, this person really does not feel good, they are not OK. I also have come to learn we attract people who treat us like we treat ourselves. I was disrespected, because I didn‘t respect myself. I allowed abuse because I did not like,love or appreciate myself. This awareness helped me have compassion for myself, for this other person, and for the roles we played in each others lives. Forgiveness will help you and your world sparkle and shine. And once your forgiveness is complete, you will understand there was nothing to forgive. The people you held in judgment were cast in the drama of your life, BY you, and FOR you. You will see the perfection of the relationships and interactions. It was all in service to your healing, upliftment and growth. These circumstances occurred as an opportunity to help you clean up your karma, learn the lessons of love and experience heaven on earth – If you are ready and if you really want it. I hope you join me and say yes to this incredible healing adventure and joyful journey. And if you are opening your mind to forgiveness, be patient with yourself, it rarely happens all at once. Forgiveness tends to happen slowly or in layers. What once was a huge cable that negatively connects you to another, can then become a wire, when can then become a string of yarn, then a thread, then snap! Nothing! And you are clear, you are clean and you are free to live your life of great love, heaven on earth, miracles and magnificent blessings! Be the change you want to see in the world. If you want a more peaceful loving world, become more peaceful and loving within yourself. Take care of the garden of your life. Forgiveness uproots the toxic weeds, so the exquisite flowers of love can take root and help create the Garden of Eden in your own realty, which in turn will positively and beautifully transform the world – from the inside out. Please be in touch with me at tammibphd@gmail.com if you would like my “Freedom through Forgiveness” guided meditation and/or if you have any thoughts, stories, insights you would like to share. You are special in all the Universe! Of all the trillions of people, animals and life forms ever created, there has never been, and will never be another you! So, are you enjoying your unique expression? Are you celebrating your amazingness? I don’t think most people are, and I think that is why most people suffer. This attitude promotes an ego-based way of being. Ego is sometimes used as an acronym for Edging God Out. And the ego can be a beast! It is a false mask which can become very heavy, burdensome and uncomfortable. It is roller coaster way of being where we believe “I am better than everyone” and then “I am worse than everyone.” And on and on it goes. There is no peace riding on the roller coaster of an ego based life! I will suggest to anyone who will listen, consider a different way of being. Open your mind to living from IGO. Inviting God Only. If someone is breathing, and their heart is beating, they are not doing this on their own. There is a force in all of us that is the spark of the Divine. Once I really thought about this and claimed it, I relaxed. I also became more open, authentic, present, respectful, compassionate and entertained by myself and others. When we live from IGO, we can surrender the idea of competition and settle into cooperation. Rather than againstness, opposition and conflict, we created togetherness, teamwork and connection. There is no more fighting for the pie. We realize there is more than enough to go around. In fact we can all have our own whole pie! And to make this EVEN BETTER, we do not have to settle for apple, or mincemeat, when we really want coconut cream pie! Everyone’s life is a reflection of their thoughts and beliefs. And as we claim, define and refine a more love based way of being within ourselves, our outer reality cannot help but follow suit. Everyone is wired differently and everyone has awesome and unique gifts. I am blown away at what others can do. I also acknowledge that I have awesome and unique gifts – and so do you! Joyful celebration starts to occur when we give love and acknowledgement generously, and receive love and acknowledgment graciously. Something remarkable, healing, powerful and empowering happens when we realize WE ARE ALL SO AWESOME! I have heard it said most humans are like princes and princesses playing around trash cans. If you want, and if you are ready, it is time for you to take your rightful place as a prince or princess on the planet. And remember everybody you meet is royalty too! The truest truth is you are God’s child and a royal heir to the Universe. He loves you unconditionally and immensely. You have great wisdom within you. You have valuable gifts. You possess unique propensities and talents. Can you relax and receive these truths? Are you ready to claim and embody this reality? If so, you will start to move in a more positive direction immediately. And if you choose to live from IGO consistently your life CAN and WILL be amazing! For more about claiming your awesomeness, check out my website, books, guided meditations and free Prosperity Program at www.tammibphd.com and be in touch with any thoughts, questions, revelations or anything else you’d to share. https://tammibphd.com/wp-content/uploads/2016/03/royalty1.jpg 712 750 Tammi Baliszewski https://tammibphd.com/wp-content/uploads/2017/06/header-logo-all-dots.png Tammi Baliszewski2016-03-01 20:22:002018-02-04 05:25:52You Are Royalty!